A secluded family lodge is a welcoming retreat after a long day of outdoor activities. 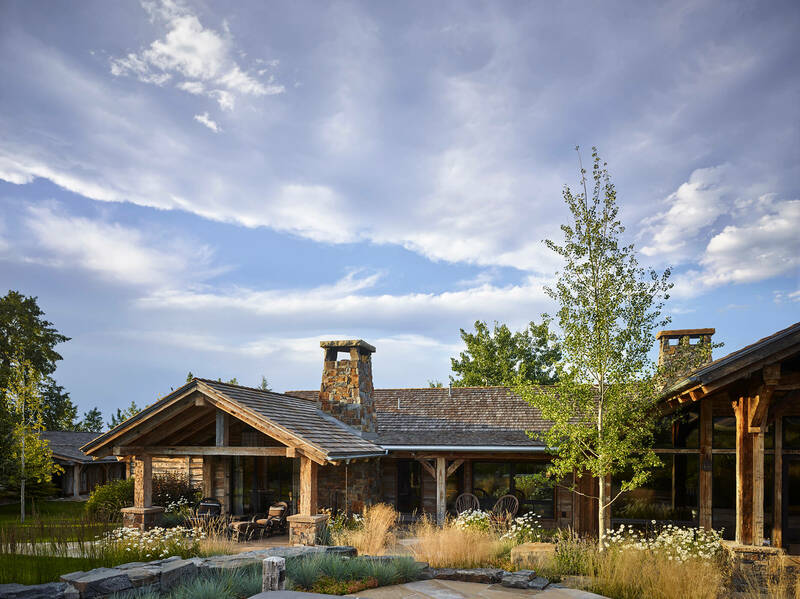 A family lodge set in a secluded location surrounded by forest service in Montana. Because of the location, this home is completely off the grid utilizing solar array panels for power. This is a family gathering for the owners, their grown children and the expanding group of grandchildren. Outdoor activities are the focus of this location with the lodge a welcoming retreat after a long day hiking and horseback riding. The home offers three master suites and two bunk bedrooms for the grandchildren. The open plan provides for group interaction with a large screened porch that provides for outdoor dining and living. We would love to talk about your project’s potential; contact us at 406.551.6950 or [email protected]. © 2019 Miller Roodell Architects. All Rights Reserved.